For four generations the Mazda MX-5 has entertained enthusiastic drivers with its rear-wheel drive balance and high-revving engines. If we’re honest though, the Japanese roadster has always been a bit underwhelming in terms of power. A joint project with Fiat, which uses the MX-5’s platform as the basis of its turbocharged 124, gave the world its first taste of what this brilliant chassis could do with a bit more shove. Thing is though, ever since the original 1990s MX-5, British tuning company BBR has been bolting turbochargers under the Mazda’s bonnet, with the latest incarnation offering 252hp. Best of all the modified car costs the same as the spiciest offering from Fiat, called the Abarth 124, and even comes with a variety of warranty options. So which should you buy? Italy’s racier roadster has a 1.4-litre engine, which is smaller than both the 1.6- and 2.0-litre options offered by Mazda. Despite this, it’s the most potent of the lot thanks to its powerful turbocharger. 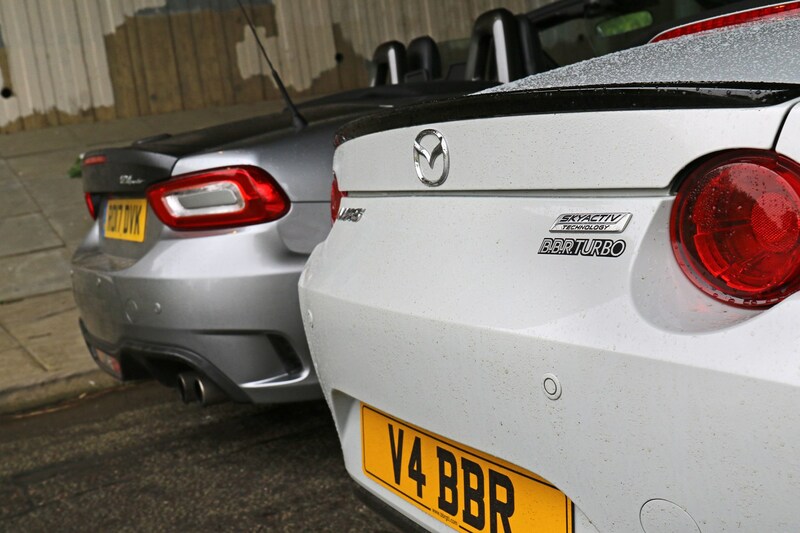 The naturally aspirated Mazda also needs more revs to deliver its punch, lending the Abarth more accessible pace. 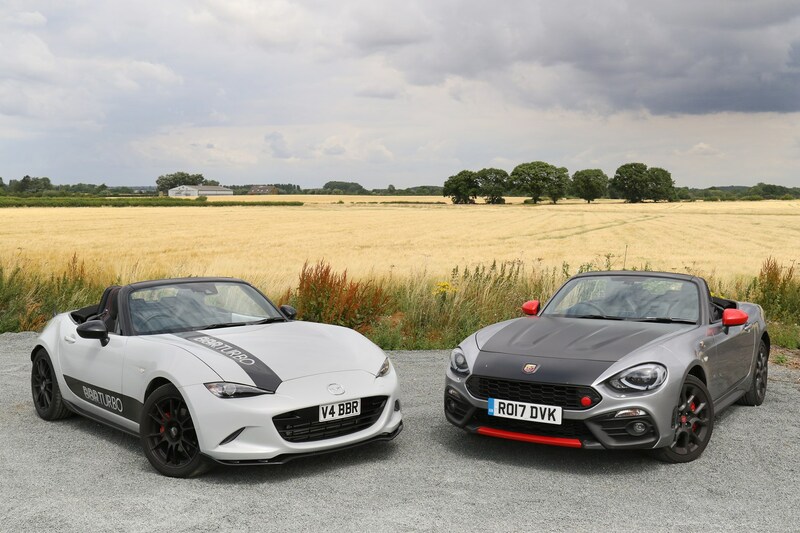 That means it feels much faster than the bare figures suggest - although it has to be said that the standard (and cheaper) Fiat 124, which is only 30hp adrift of the Abarth also feels more forceful than the MX-5. One big advantage of the Abarth is the standard Record Monza exhaust, which barks when revved and burbles antisocially at low speed. 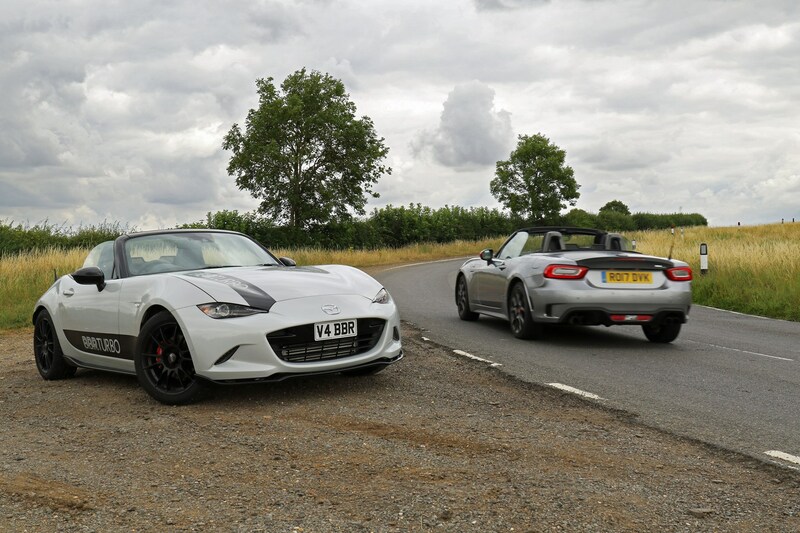 As you’d expect from a 252hp car that weighs barely a tonne, the turbocharged Mazda MX-5 feels very quick off the mark indeed. We’ve gone into more technical detail in this review. 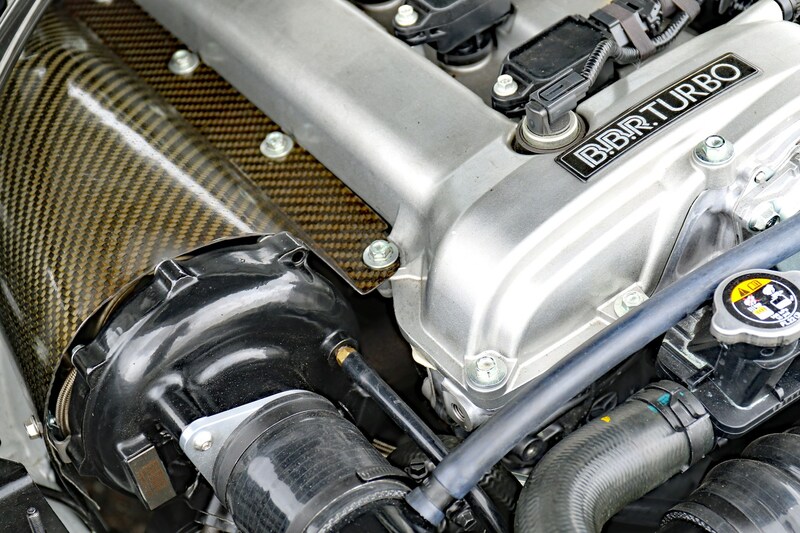 What’s great about the BBR tuned car is that it retains so much of the original’s naturally aspirated character. Peak power is generated at a higher rpm than before and the 2.0-litre motor still loves to rev. 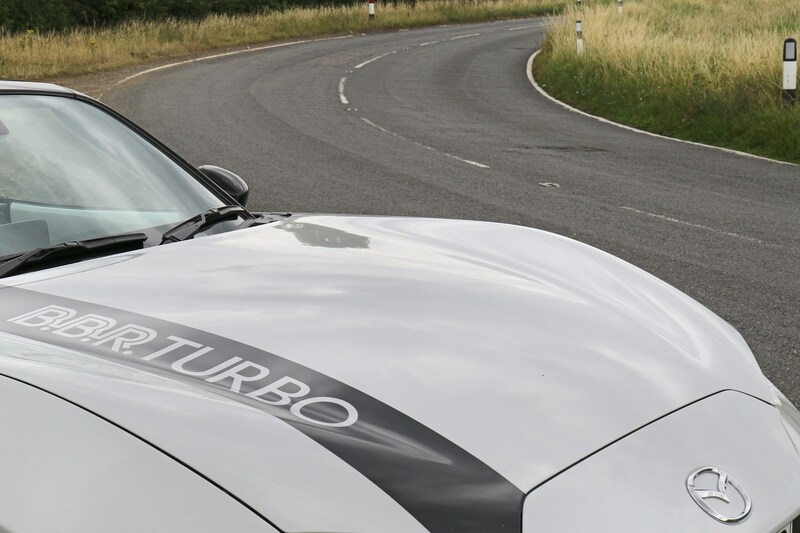 The turbo’s delivery is also very smooth and natural, with none of the lag and power spike you might be expecting from a highly-strung, modified car. Like the standard MX-5 though the BBR version doesn’t sound particularly stirring. Our test car had an optional exhaust upgrade which added some bass and volume without an annoying drone on the motorway, but it’s still a way off the cracking Abarth. While these cars cost roughly the same amount of money, the BBR MX-5 represents much better value thanks to its near 80hp hike in power. It also revs much more freely, and without the optional stickers of our test car, looks considerably more discreet. You can buy a modified Mazda direct from BBR for £29,995 or take a car to get upgraded, costing £5,994. That means if you can hunt down a second hand model in decent nick the bottom line for a turbo’d MX-5 would be significantly lower. 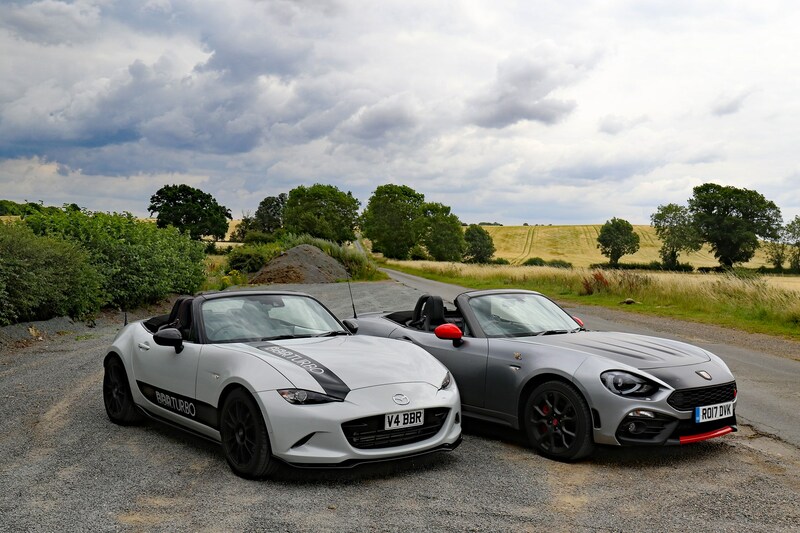 Either way, the work is fully reversible and there are a range of affordable warranty packages available, from 12 to 36 months, making the modified MX-5 much more like a normal car to buy and own. 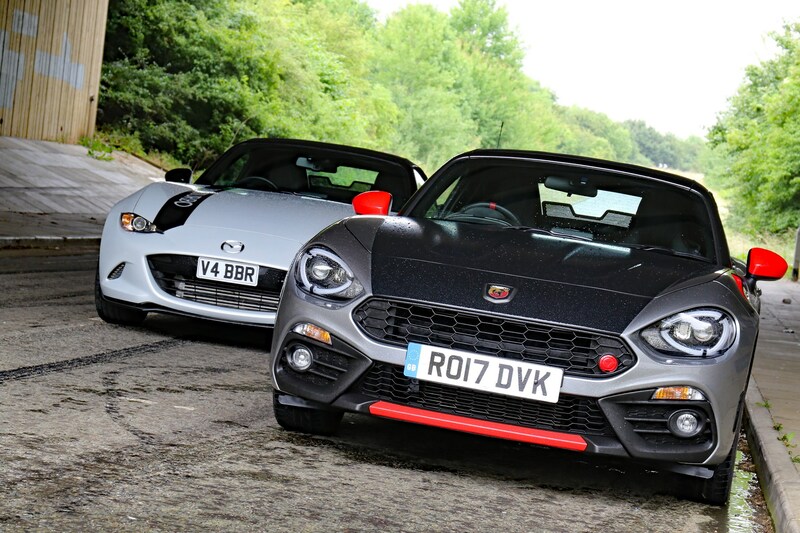 It seems odd to describe something as mad looking as the Abarth 124 as the more relaxed option but in this scenario that’s how we’d pitch it. 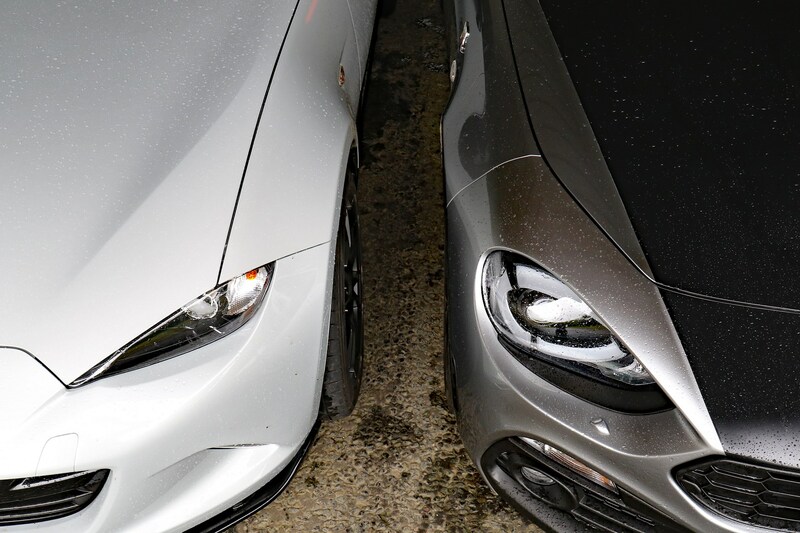 The Mazda retains some of the standard car’s accessible nature but the Italian feels like it’d be easier to live with. 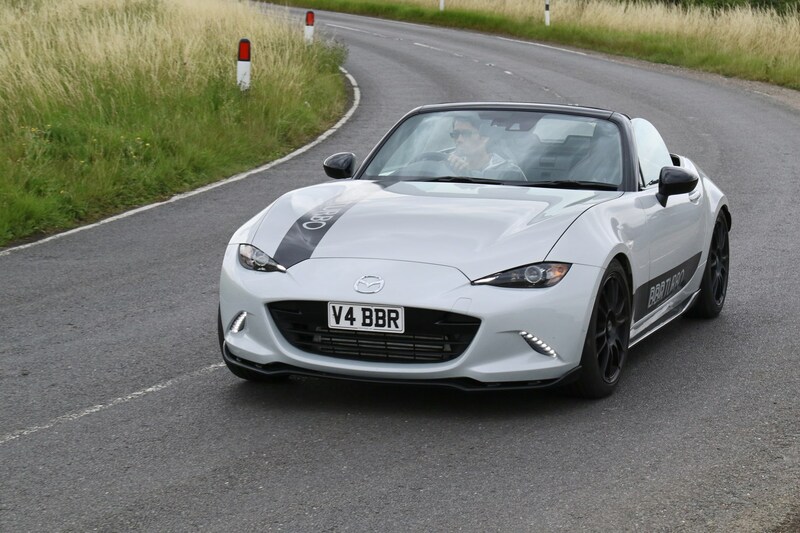 For the ultimate in small roadster performance though, the BBR MX-5 is a seriously captivating package.